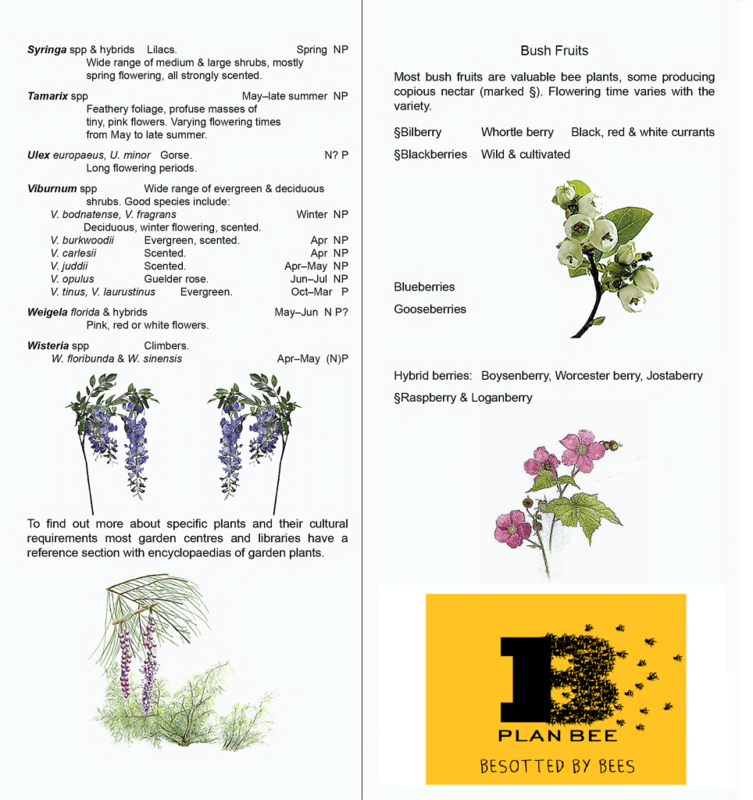 It’s National Gardening Week here in the UK and we thought we’d highlight a number of shrubs and trees that could grow in your garden that are useful for providing pollen and/or nectar for bees and other pollinating insects. In Part One, we look at a shrubs, here defined as a perennial plant not growing normally on a single trunk. 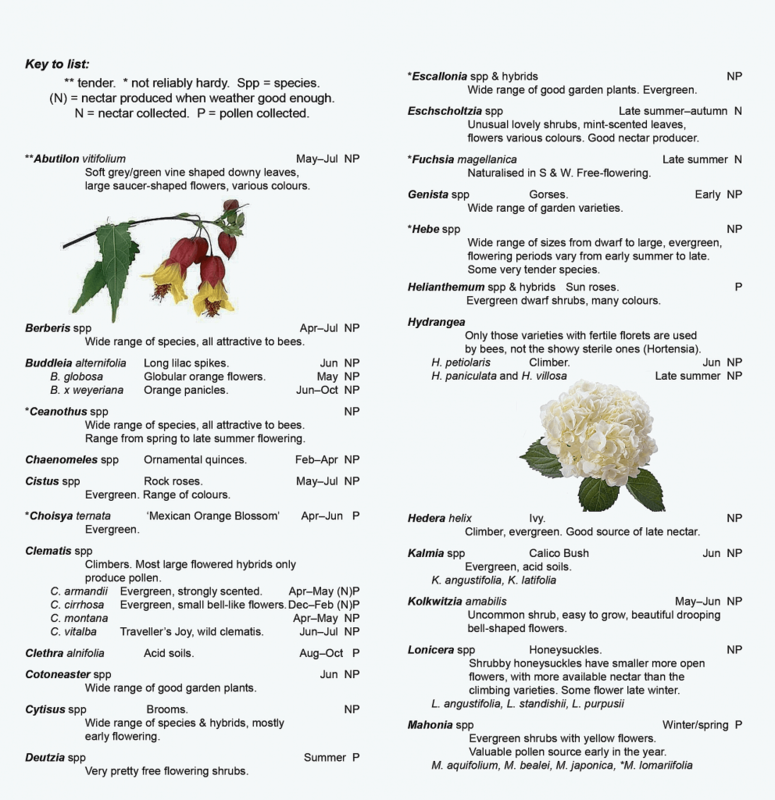 The list below includes a wide range of plants suitable for a range of habitats including small and large gardens, some may also be found in the wild. All will naturally flower in the UK although some will need a good summer to flower well. In most cases, pollen production is relatively reliable but nectar production is not; being more affected by the soil and weather. There is a growing number of species now being grown in the UK which originate from hotter countries and thus may be especially variable in flowering and nectar production. Many of these are not reliably hardy in colder parts of the country, but with warmer summers and milder winters, some of the plants can be grown far more widelyand may produce more nectar in good weather.